Quality packing material and advanced machines are responsible for the safe packaging of the orders from our end. Moreover, our experts keep a strict vigil on the entire procedure. With our brilliant logistics network, we are capable to deliver the orders within the postulated time frame. 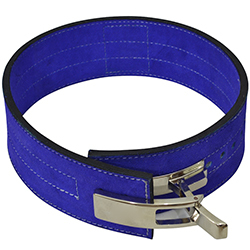 WB-501 Power Belt is made of the finest quality material and is available in different color options.